“Let Miracles Find You” is an inspirational show about everyday experiences of faith and answered prayer. Pat’s message and vision is to help women and men connect with the Spirit within, learn to love themselves and transform their lives. Pat and her guests will share their stories of how miracles found them and will invite you to share stories of Spirit working in your life. 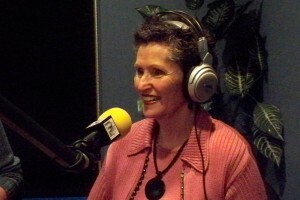 Each week listeners will receive invaluable tips to help them live in spiritual abundance. If you are seeking to explore your spirituality, your limitless potential for Divine guidance and the mystery of synchronicity, please join Pat on this magnificent journey of faith, trust and hope. Go to www.dreamvisions7radio.com for more information.